Menzies Response are a leading full service logistics company based in Ashford. I write their company blog which is promoted heavily on social media. Thus far the response has been fantastic and has trebled the company's web traffic. 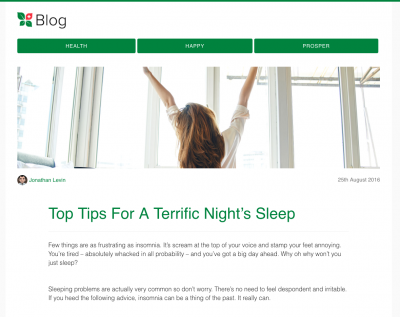 I've included three typical blogs here. 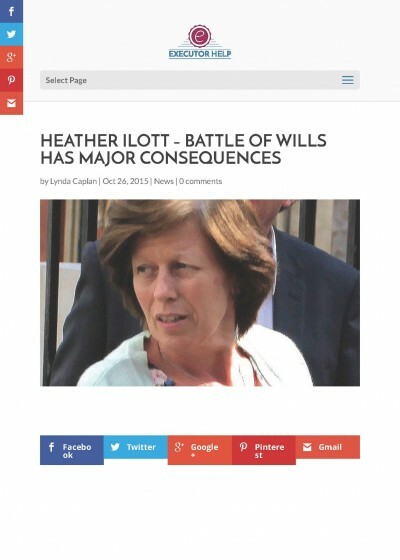 This ghost written article for the Executor Help blog analyses a high-profile legal tussle and positions the company as experts in the area. The tone is authoritative but friendly and the selling message is subtle. 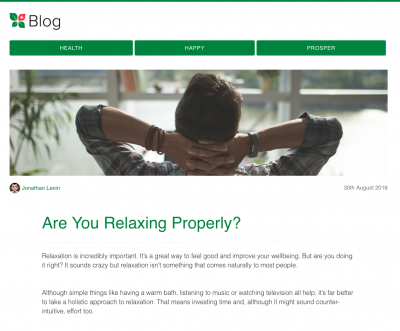 This ghost written article for the Human Cell Integrity blog offers useful tips on relaxation. 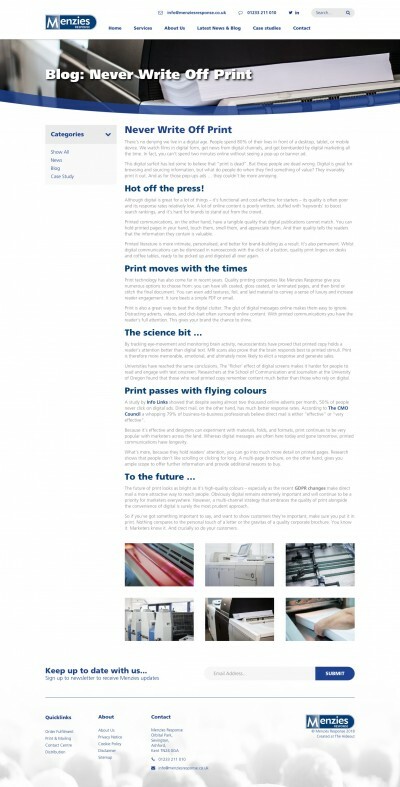 It offers helpful advice, adopts a conversational style, and underpins the company's brand. This ghost written blog post was one of several articles that position HCI as friendly and knowledgeable health experts. It gives useful advice in easy to digest sections. One of several articles written for the 888 Sport Blog (part of the 888.com website). I've worked as a freelance writer for several companies including Betfair and Victor Chandler. 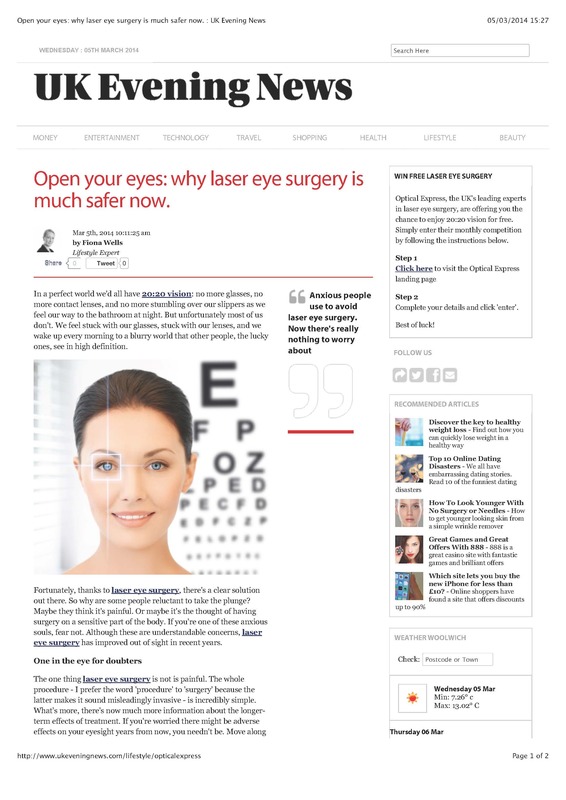 Ghostwritten article about laser eye surgery for Optical Express. My copy made the benefits obvious while easing any lingering concerns. 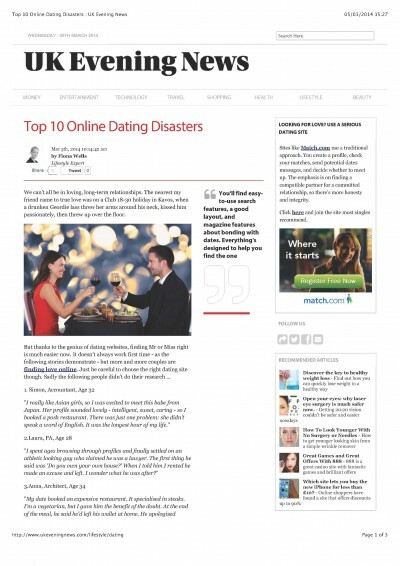 Ghostwritten article to promote Match.com. The content was designed to drive traffic to their main website. The style is journalistic with a covert selling agenda.